What was I thinking? I mean seriously, I knew my blood sugars were going to be going low lots in the early part of this pregnancy; everything I had read had told me so, the doctors told me, heck, even in my first weeks of pregnancy, before I knew I was knocked up, I couldn’t keep up with the lows. So why, WHY, did I not go out and stock up on Tropicana shares the moment I found out? That would have been the smart thing to do. But noooo, I live in a world of denial thinking it won’t happen to me, I’m so up on this disease, I’ll be a master at it with pregnancy too. Cue the laughter of the OJ stockholders. I kid you not, I can’t keep up with tubs of orange juice I’m having to guzzle day in and day out. 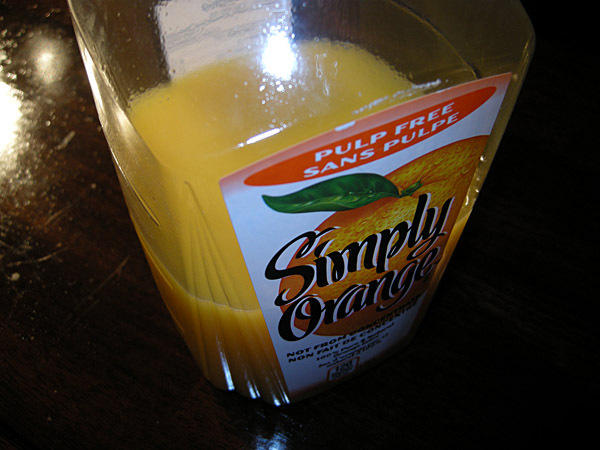 I’m drinking OJ first thing in the morning, multiple times through the day, and at least twice through the night, if not more. And still, my BG plummets. I’m honestly at the point where I fear testing my blood sugars. In the middle of the night, I silently beg the BG gods to let them be perfect, and when they’re not, I am so close to tears. Tears of shame. Tears of anger. Tears of frustration. I curse every time I see a number in the 3s, 2s, and 1s. (Yep, I’m getting 1s… prior to pregnancy, I saw 1s three times in my near 25 years of this disease; in the last two weeks, I’ve beat that number by four!) It wasn’t so bad at first, but my gawd, this has been months. I’ve adjusted my basal rates over and over again, I’ve adjusted my carb ratio rates, but to no avail. It’s taking its toll. There’s some days, where I come home and my body is so exhausted from fighting the lows, it takes everything I can to keep my eyes open. I’m getting migraines multiple times a week. I’m having to deal with the tingly tongue sensation and fuzzy eyes on a regular basis. And I don’t like it. The docs tell me it will soon change, that I’ll be battling highs with the ever expanding bulge of my belly, which is another cause for concern. Because see, while the lows have quickly killed my love for orange juice, as far as I’ve been told, they don’t harm the baby (just me!) but the highs, they harm the baby and me. Not cool. OJ uprising was first published March 20, 2012.